Here we take a look at a few of the legends, including King Arthur and the wizard Merlin. 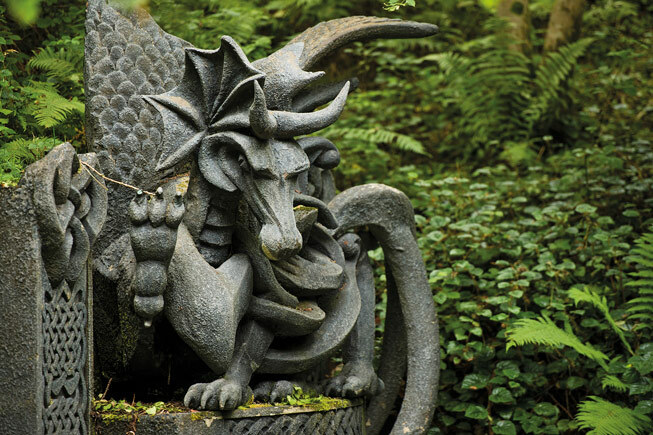 The ultimate Welsh myth: the dragon. Arthur himself is rumoured to be buried in a number of places in Wales (and also in England too), but one of the most notable sites associated with him is Bardsey Island, off the Llwyn Peninsula, hailed as the Isle of Avalon, where Arthur sleeps in a cave until his return in Wales’s most dire hour of need. Merlin’s early Welsh roots are as a prophet poet. The famous Arthurian wizard has a particularly close link with Carmarthen, his birthplace in southwest Wales. The earliest surviving Welsh manuscript, The Black Book of Carmarthen, featuring tales of Arthur and Merlin, was compiled in the town and a well-known rhyme predicts, “When Merlin’s oak comes tumbling down, down shall fall Carmarthen town.” The oak in question stood in the town until it befell a series of misfortunes – poison and, in one version of the story, fire. Today a fragment of tree branch remains in Carmarthenshire County Museum. The Mabinogion, a collection of magical Celtic tales found in manuscripts dating from the late 14th and early 15th centuries. It is one of the richest sources of Welsh stories featuring King Arthur as a recurrent character, though it is earlier, in a Welsh poem dating to AD 600, that he first appeared. Wales’s most famous poet, Dylan Thomas, also owes The Mabinogion his name, which was taken from a character in the collection. So richly inspiring is the Welsh landscape, and so many writers and artists hail from – and flock to – its hills and valleys, that ancient bardic traditions tell of foolhardy souls sleeping on the slopes of Cader Idris in Snowdonia National Park, where, it is said, you’ll wake up as a madman or a poet, or, alarmingly, possibly not at all. 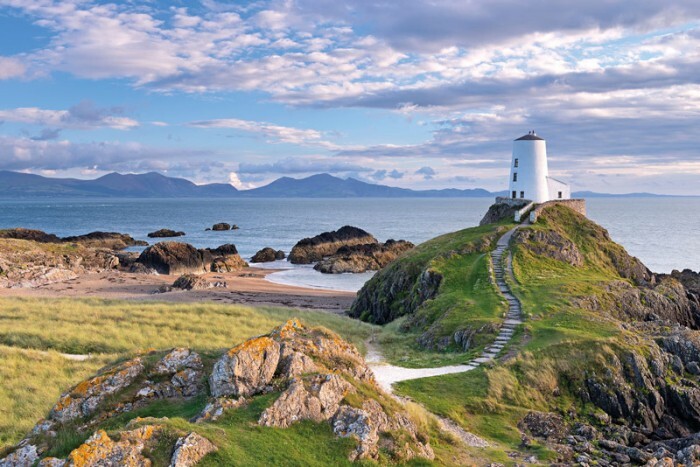 The Welsh patron saint of love, who after a bad experience (the man she loved was turned into a block of ice) decided she didn’t ever want to get married and spent her life as a nun on Llanddwyn Island, off the coast of Anglesey, praying that all lovers from then to eternity would be looked after. Today lovers can visit Dwynwen’s well on the tidal island where the sight of active fish augurs a faithful partner. The faithful canine friend of Llywelyn the Great, the 13th-century Prince of Gwynedd, who returned from hunting to find his dog covered in blood. Believing Gelert had torn apart his infant son, Llywelyn killed the dog only to find his child safe with a dead wolf, seen off by Gelert, lying next to him. 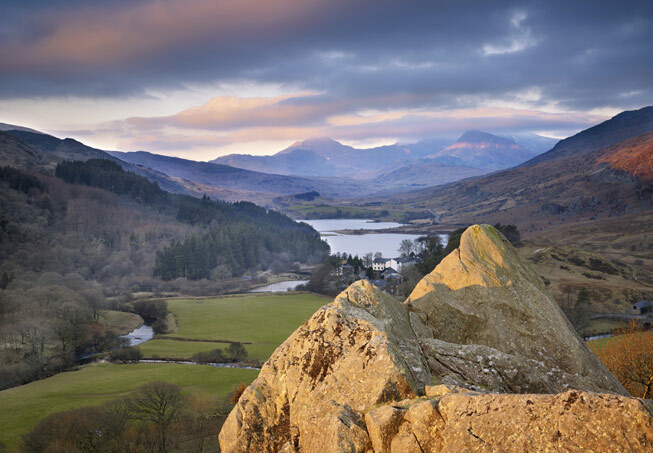 Today Beddgelert, meaning “Gelert’s grave”, is one of the prettiest villages in north Wales with a monument to the faithful hound. The myth of the Lady of the Lake. “It’s connected with the stories of the fairies, the otherworldly creatures who, according to some legendary traditions, were the inhabitants of these islands before the Celts came,” explains Dr Aled Llion Jones. “The idea is that they were driven away, in this case, under the water, which is where gifts to the water – throwing coins in and so on – come from.” The most famous version of the story is connected with a lake, Llyn y Fan Fach, in the Brecon Beacons under the ‘Black Mountain’, from which emerges a beautiful enchantress with whom a local farmer falls in love. Unions between mortals and immortals don’t tend to end happily and so it is that the Lady of Lake, ultimately, returns to the water, taking her cattle with her, but, oddly, not her children – though she does pass on to them the secrets of herbalism and medicine and they become the famous Physicians of Myddfai.